Hot off the press, here are the Marathon Challenge results. Congratulations to Richard and his team on Tawny Owl for an outstanding result! Harald Joergens was the professional photographer on Felonious Mongoose, and the he is in the process of putting the marathon photographs on his website. Take a look – follow the link. As a personal comment, not only is Harald an outstanding photographer, but he was also great to have as crew. If there was a prize for the best photographic record of the marathon, we would undoubtedly have won it!! 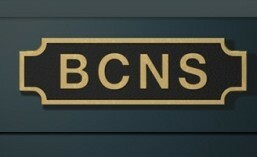 This entry was posted in Rallies and tagged BCN, BCNS, Marathon Challenge. Bookmark the permalink. I was on my own for Saturday morning and started from Wolverhampton top lock a bit after Sarah and crew on Canis Major who had arrived and got in position on the starting line while I was asleep. When I caught up a little later at an unusually wide and straight bit of the Curly Whirly she gracefully waved me past – thanks. First stop was Sneyd Junction, to find the blue bricks (with blue canoes and blue police signs as distractions), then on to Grove Colliery Basin and the birch tree with a yellow ribbon before returning to the Walsall locks where two of my sons joined me; 22 miles of very attractive canal but no locks so far. Down the locks we went and into the deserted Town Basin, with its new Premier Inn, then along the Walsall Canal with a late lunch on the move, up the Ryder’s Green flight passing Charlene and Panatha and to the Brades Hall locks via Caparo precision steel strippers and a close encounter with Felonious Mongoose at Albion Junction. There was a mini-gathering at these locks, with Spartan, Phoebe and Diesel & Dust all going the other way. Once up and heading towards Oldbury we passed Tawny Owl again (the first time had been at Goscote) and then headed up to Titford Pools; the last half mile or so is in serious need of debris clearing and dredging. Keeper’s Cottage beside The Navigation was found, then we turned back, down the attractive Spon Lane locks, along Telford’s magnificent New Main Line below his aqueducts and astonishing Galton Bridge – what a genius! After a well-earned stop for supper with the full moon for company, Edward got some sleep while Henry and I continued via the Soho Loop. Exploration at the bridges soon solved the Centre of the Earth riddle – it’s the name of the park across Asylum Bridge – and then we crossed the Main Line into Icknield Port Loop where the excessively bright lights made counting the chimneys on the old building quite a challenge (we thought there were three). It was 11.30pm at Old Turn but we decided to press on for a bit longer so went down the Farmer’s Bridge locks (all set against, several with the bottom gate open – ugh!) before mooring above the Ashted locks at about 1.00am. John did seriously well on the questions (or at any rate when compared to Harald and I!) Particularly impressed with the blue bricks, on which I failed dismally. (Harald was helming the boat – so I cannot blame him for our failing to get this one) Muskrat is the first boat I’ve had contact with who got the answer to this one. As a first time entrant, I don’t know what the answer is to fairness on boat lengths etc – I see the point in terms of speed, however I suspect (though note absence of certainty in my comment) that the smaller boats have a manoeuvrability bonus. What the balance is on these I’ll leave up to Roy. There were certainly a lot of us within a one hundred point range.